Offered in collaboration with the Institute of Management Accountants (IMA), UCLA Extension offers an instructor-led exam preparation course that is designed to help fully prepare students for the Certified Management Accountant (CMA®) examination. 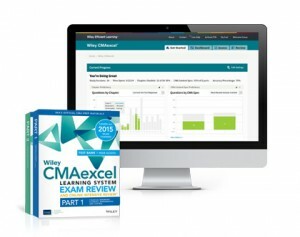 The centerpiece of our offering is the IMA’s Wiley CMA Learning System, a comprehensive program that includes textbooks and online practice tests. 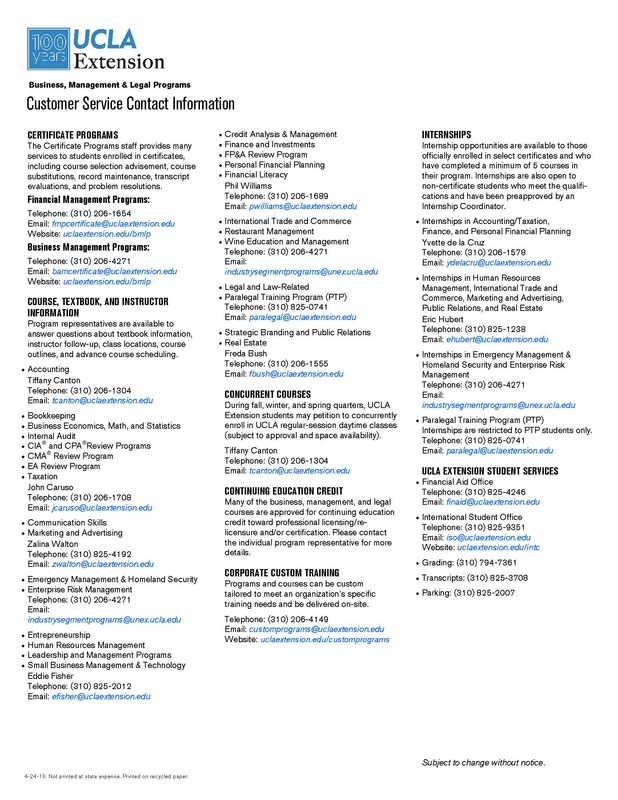 The review courses combine printed materials and online components with the expertise of an instructor and the discipline of a classroom setting. While the primary focus of the review courses are to prepare individuals for the CMA exam, the coursework is also an excellent professional development tool for helping individuals advance their career in accounting, finance, or business management. Review key CMA exam topics and learn test-taking strategies, all while interacting with qualified instructors who reinforce key points and help keep you on track for success. Utilize course materials designed by IMA subject matter experts to help candidates pass both parts of the CMA Examination. Develop a peer network while you learn in a group environment. Coursework that may be applied toward the State of California’s continuing professional education (CPE) requirement for CPAs. 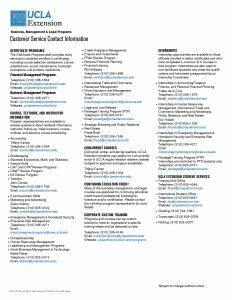 Available discounted fees to students officially enrolled in UCLA Extension’s Accounting or Finance Certificates, IMA members, and employers who have three or more employees participating in the program. While the primary focus of the review courses is to prepare individuals for the CMA exam, they also are an excellent professional development tool for helping individuals advance their career in accounting, finance, or business management. The CMA® credential is your key to greater career potential. Pursue the CMA and demonstrate your mastery of the critical accounting and financial management skills needed on the job today. CMAs earn the credential through work experience, a rigorous two-part exam, and continuing education. A Relevant Credential – The CMA covers the in-demand skills for accountants and financial professionals in business. Employer Recognition – Employers around the world turn to CMAs to drive the performance of their organizations. Convenience & Flexibility – Busy professionals like you can prepare for the CMA through a variety of learning formats. The CMA exam is offered at hundreds of testing centers globally. High Return On Investment – The CMA delivers a solid return on your investment. IMA’s Annual Salary Survey shows that CMAs stand above their peers in earning power. Candidates preparing for IMA’s CMA® examination. Practitioners identifying, measuring, analyzing, and interpreting financial information. Finance and accounting professionals looking to enhance their career opportunities. Accounting staff members preparing financial reports for nonmanagement groups such as shareholders, creditors, regulatory agencies, and tax authorities. Accredited, licensed, or certified professionals seeking continuing education credits. CPAs interested in moving into an internal corporate accounting role. Students with an interest in financial planning, analysis, and control. Upon enrollment, students must purchase directly from IMA the Wiley CMA Learning System materials, release 3.0, second edition. The required IMA materials include: text book with sample practice test questions and responses (both multiple choice and essay), participant guide (includes instructor’s lecture slides and classroom assignments) and access to online practice tests. Discounts are available to students ofﬁcially enrolled in UCLA Extension’s Accounting or Finance Certiﬁcates, IMA members, and employers who enroll three or more employees. Early enrollment discounts also are available. 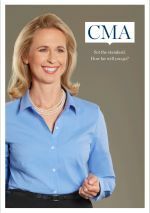 “The CMA has given me a tremendous amount of value. Not just on the financial end of things, but because I’ve gained broad-based accounting knowledge. I’ve been able to advance my career because that knowledge translates into benefits for the companies I work for.” – Tammy Drescher, CMA, Senior Cost Accountant, Diamond Foods, Inc.
Students are eligible to repeat the next scheduled review course (space permitting) for a $75 retake fee per course.